PrivateEyePi Home Security Projets Site #piday #raspberrypi @Raspberry_Pi « Adafruit Industries – Makers, hackers, artists, designers and engineers! 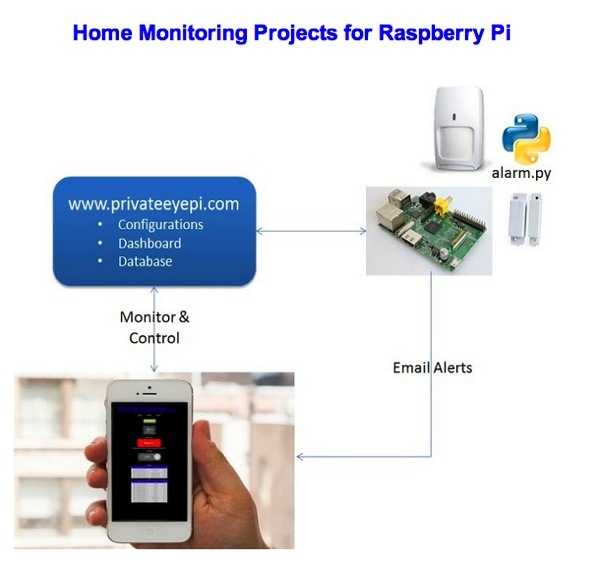 Check out the PrivateEyePi project site for Raspberry Pi home security enthusiasts! PrivateEyePi is a projects website for RaspberryPi home security enthusiasts. We have published RaspberryPi projects on our website that enable users to control an alarm system remotely, set up an alarm system dashboard where you can monitor zones and locations. We send out email alerts when the alarm is triggered and we are working at adding video surveillance to the dashboard. This is a project website dedicated to developing products and ideas for you to implement with a Raspberry Pi. We are Raspberry Pi enthusiasts and are in this for the enjoyment of developing and sharing ideas, products and solutions. Everything we offer is free of charge and void of all advertising and commercial pitfalls. All software and source code we provide can be copied, shared and modified without restriction. Check out their current projects and resources here.